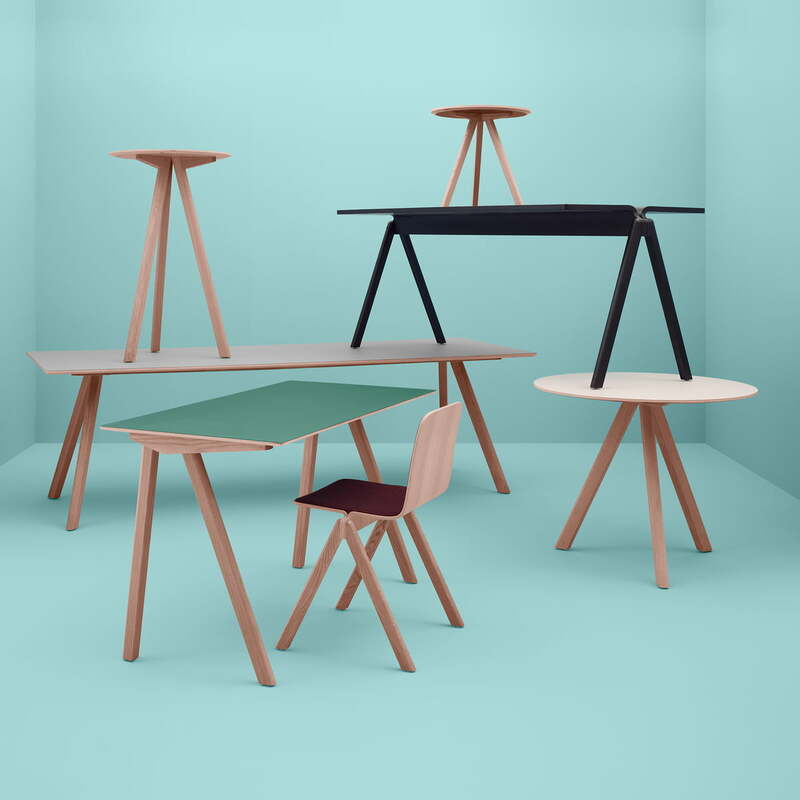 The Danish manufacturer Hay invited the design brothers Ronan and Erwan Bouroulled in order to create a collection for the re-designed University of Copenhaguen (KUA). 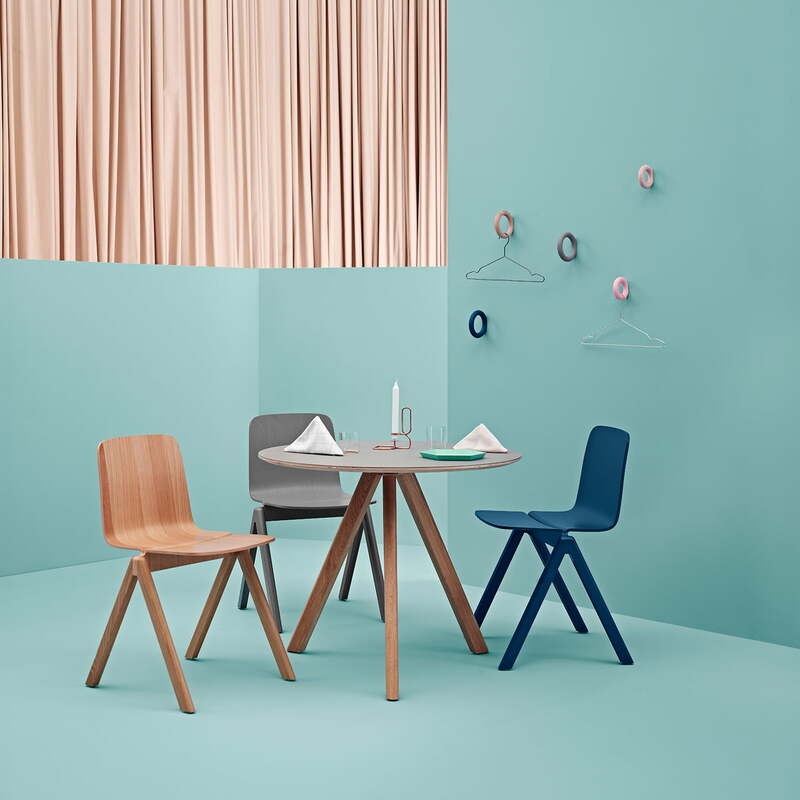 The result was the Copenhague-Series, which consists of a chair, a bar stool and diverse tables. Hay and the Bouroullecs tried to design furniture for an educational institution, which would belong to our time with their shape and identity and which would fulfil the demands of a University. 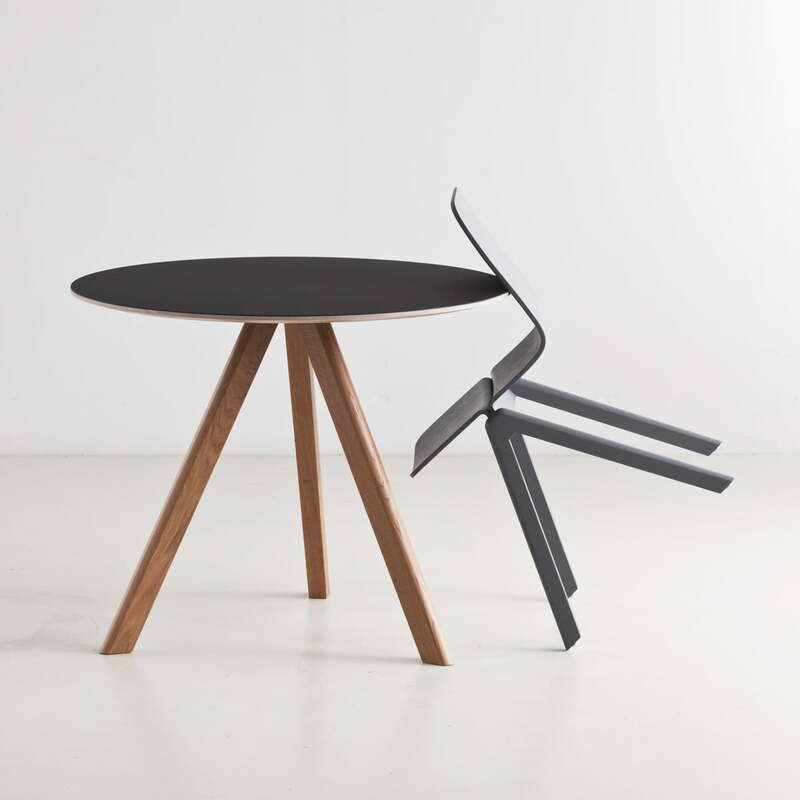 That’s the reason why the Copenhague Round Table – which is available as dining table and as side table – is very functional, but without getting far too serious in its expression. 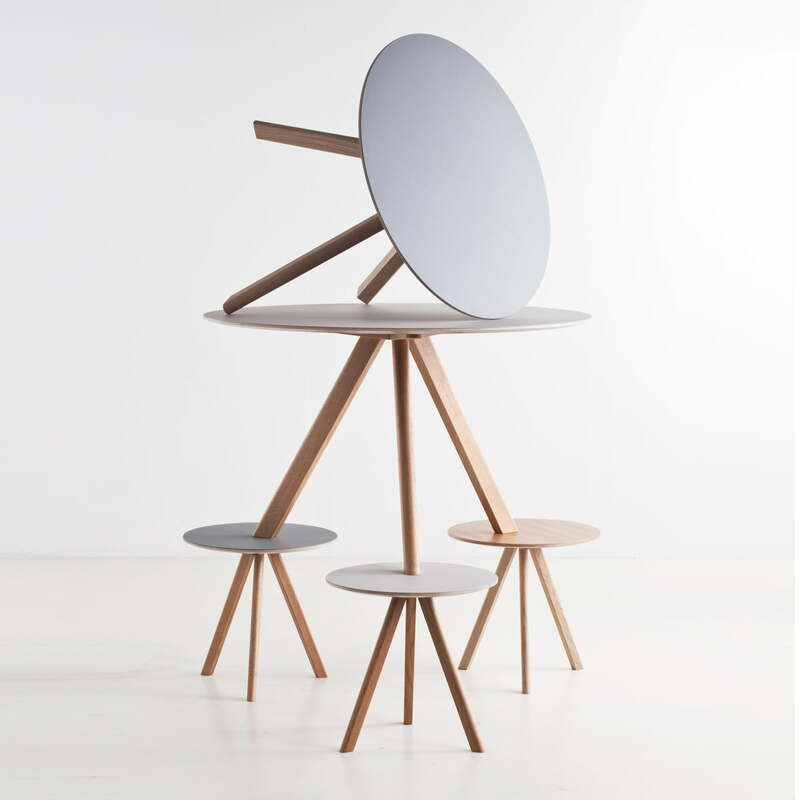 Since the designers wanted to free the Copenhague Round Table CPH20 from institutional flairs of traditional furniture and they wanted to design objects with bigger originality and a more homely appeal. 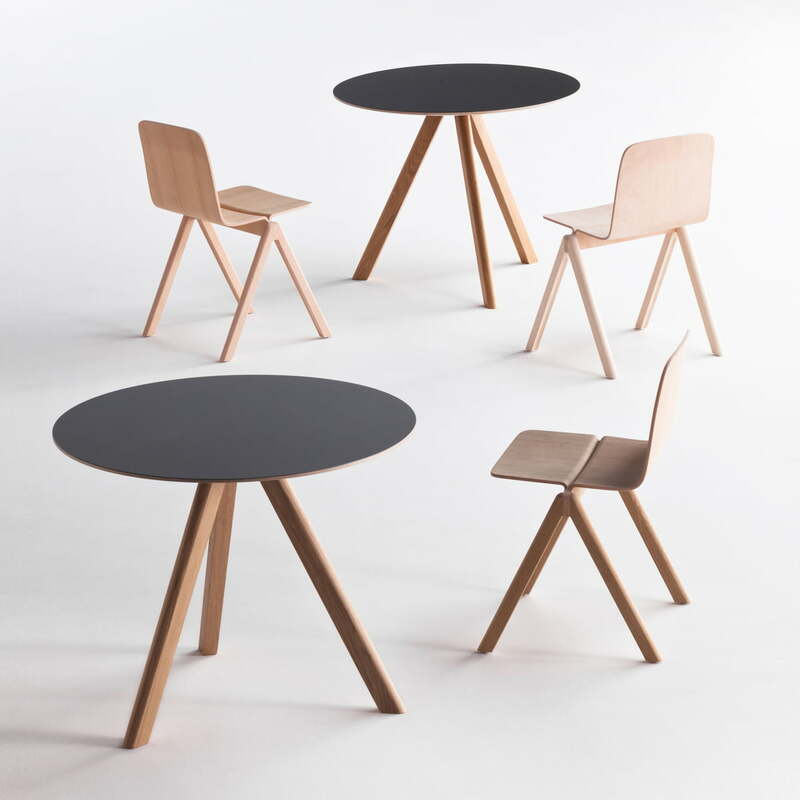 Hay produces the Copenhague Round Table out of oak wood. Further editions are available on demand.